Extra, extra! 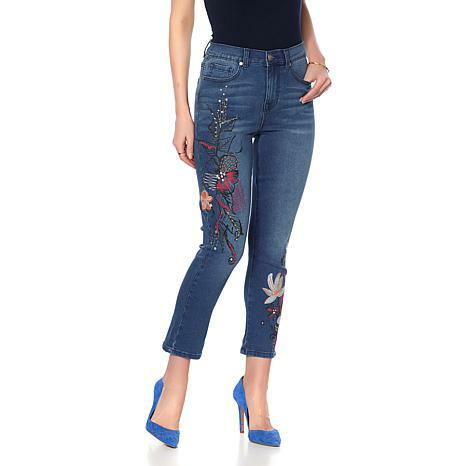 That's the theme of the season as tricked-out stretch denim gives distressed a run for its money. 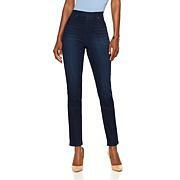 This shapely skinny pairs embellishments with a cropped length — an essential silhouette for up-to-date style. Be fearless and go all-in with your pairings, mixing shoes, tops and jackets in trendsetting combinations that would make any stylist proud. These jeans are so much cuter than I thought they would be. They fit very well too. Great price!! I usually wear petite, but bought regular.. they fit ankle length .. love them ! The fit on these Jean's are just so perfect to your body. I only buy her jeans.